Raisul Islam Asad born: Asaduzzaman Mohammad Raisul Islam in July 15, 1952 Dhaka, Bangladesh. 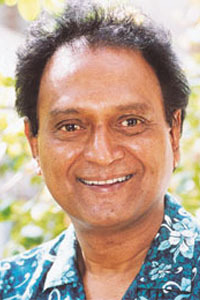 He is a Bangladeshi actor and has won several national awards for performing in all four medias of Radio, Theatre, Television and Film. He won the National award as best actor for the film Padma Nadeer Majhi in 1993. He is an ex-student of Dhaka Collegiate School & a Freedom Fighter in the Liberation war of Bangladesh in 1971.